Issued to Gurhka Assam Rifles Regiment. Blade 30cm double fullered with ‘trident’ notch. Polished native hardwood handle reinforced by brass bolster and a brass pommel with raised lion’s head decoration. 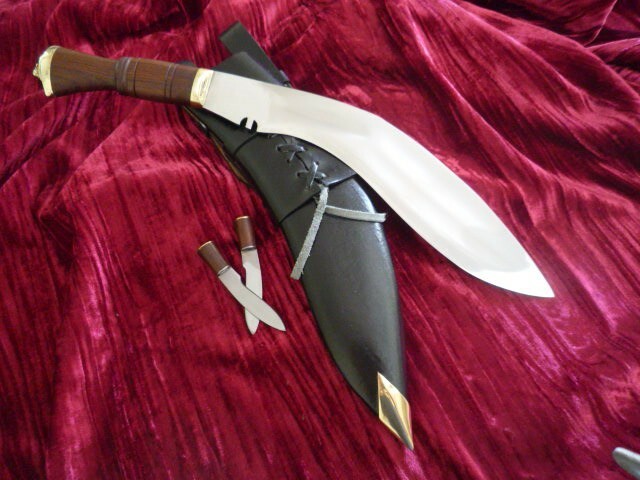 Wooden leather covered regulation sheath with leather lacing.